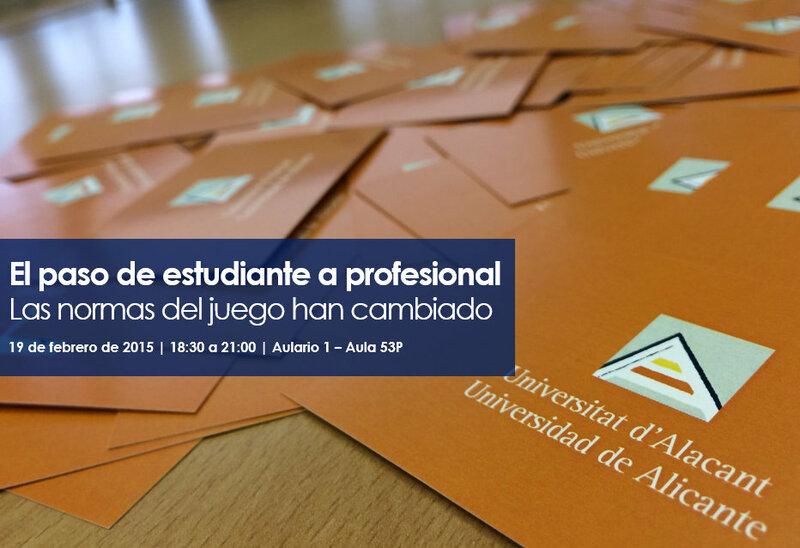 The next 19 February 2015, from 18:30 to 21:00, in the Lecture 1 - Aula 53P, will conduct the session the passage of student to professional. The rules of the game have changed. Professional is not a label, is an attitude, which requires a new way of thinking and acting. Become a professional is beyond a curriculum, a way of dressing. Being professional is one way of acting and thinking, always oriented to a target clear, which requires a suitable approach, that will allow us to properly cross some invisible barriers, which may prevent to carry out change from student to professional.